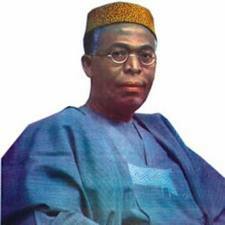 Awo, Achebe: Who are the real enemies of Nigeria? As I read through my copy of this book, I feel like sharing my views on the lingering worthless altercations and unhealthy arguments it has triggered in the polity. Achebe has written his personal account of the civil war and it remains his personal view. Many may agree with him, many others may not. I find it ridiculously disappointing and most unfortunate that young people are joining this fray being stirred by some of our elders who, with due respect, used sectional politics to set our country on a retrogressive path. To me, the hullabaloo about this book (that many of the people causing the sickening controversy are yet to read) is entirely unnecessary. Pa Awo (of blessed memory) is a great man and will remain so (at least in my perception) no matter what anyone says, writes or feels; Same goes with Prof Achebe. 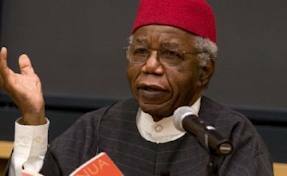 I do not expect anyone who did not experience the war on either of the sides (Nigeria or defunct Biafra) to confirm or dispute the content of Achebe’s book. Whatever Awo did or didn’t do during the war is now history. He will always be remembered for being one of Africa’s finest leaders. 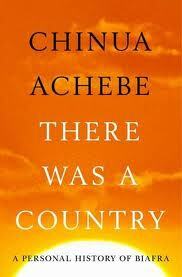 Achebe will also be remembered as being one of Africa’s finest writers. I don’t think there is any account of the civil war that everyone will agree with. More so, I don’t think the history of the war should determine how I should relate with hundreds of my good friends of other ethnic groups and vice versa. It’s 42years after, we have moved on. Should we forget the history, No. As young people, we should rather learn from whatever mistakes our elders and heroes made to ensure that there’s no repeat of such thing. Calling Achebe or Ndigbo names won’t achieve that. Similarly, belittling Awo’s great achievements won’t do same either. People should choose whatever story they want to believe but using it to sow seed of hatred will do Nigeria no good. My take is that neither Pa Awo nor Achebe is our problem now, it is those people who use their (in)actions to fan embers of disunity and hatred that we should be scared of. They are the real enemies of Nigeria. My focus is on young people because behavioural change among the elderly is almost impossible. Additionally, the youths are the ones who will outlive the consequences of whatever negative seed sown today and therefore should not join in sowing such seeds. Rather, let’s see what we can learn from our beleaguered history, and then use them to build a better country for our children. May the soul of Pa Awo continue to rest in peace. May God bless Prof Achebe. May God bless all lovers and promoters of a more peaceful, united and prosperous Nigeria. And may almighty God continue to bless our dear country, Nigeria. Donlaz, this article embodies the truth that many a people would not want to hear. Aristotle, I think, said something about an educated person’s ability to entertain an idea even if he won’t accept it; and the dearth of that ability is the cause of the present brouhaha. Of a truth, neither Awolowo nor Achebe is the problem, it is those seeking undue popularity from this issue that are the real villains. May your pen never dry. Thank you Moses for sharing your thoughts. A very well thought out and articulated write up. Very astute! Nigeria’s problem can only be solved by the young of today. LAZ UDE EZE thanks for your kind heart view and takes on the road froward; but do note that the current leaders are what they are currently because of same ills and lies written by few on same tribal and religious view points and as such we can’t expect good from the current leaders when a lot either as stakeholders or directly involved are the same part and parcel of the root cause itself. Thank you Yusuf for sharing your thought. DonLaz….Ur pen has always been filled with the ink of truth and armed with the ball-point of objectivity. Since I read FF-Kayode’s piece against this said book, I have made a conscious decision to ignore all such diatribes. Not because of the person behind the pen, but because I recognise the poison and ignorance in all of such ‘hate-inspired and inspiring’ write-ups. It will do our Nation no good if we allow such persons create unneccessary distraction in our collective pursuit of our collective well-being. Cheers. Thank you Chikodi. We are the future and it is our responsibility to make our children meet a better Nigeria. Thank you Tunji for sharing your thoughts. Let’s learn from the past and build a better Nigeria for ourselves and the future generation. one of the questions that people have asked is if the timing of the release is right . .. perhaps that debate around it, the opportunity for other ethnicity to be able to share their own stories . . . I think all these are good for us as a nation . . . personally I am still waiting (and hoping) for Gen. Gowon to share his war memoirs. Thank you Buchi for your thoughtful comment. With write ups like this…I know there’s hope for us young people!! This is our country!! We owe it to ourselves to keep it united,in love and as much as we can..walk in peace with one another..GOD bless this writer.. Thank you Obiosa for your kind words and your thoughtful comment. Thanks for a mature and enlightening analysis. Thanks for your write up don d laz. Although must of d people talking as regards d revere prof book might not be part of that generation that witnessed d truth of d war but d basic fact is that we should not fall prey of history and not just take an individual personal view as history. D likes of levy bruhl portrayed African countries in a view nt conform to what Africans re really re but for d scholarly argument some of us were able to see d light. Although prof Achebe with great respect to him is entitle to his opinion but it ll be dogmatic of Nigerians to just swallow that as d truth and d people talking re also entitle to dia opinion whethet they re part of d generation or not. But the important thing is what lesson(s) can we as a nation or individual learn from it. Ethnicity in a wAy has stunted the growth of this potential great nation and in a way aided corruption, so if we want to realise our potential we of this generation shoud look beyond that. Let’s not just talk about history but let’s learn from it. It is difficult to understand what the brouhaha is about. One wonders if Achebe is the first to have written on a war, or on this very one. Or is it now a no-no to write on a war? It’s hard to believe that it was only yesterday that some Nigerians were still bemoaning that Ojukwu failed to write a book on the war. Only God knows why he did not write any. Maybe they would have stoned him to death, if it (the book) did not culminate in another civil war. I don’t know why Nigeria is blessed with too many honest people.